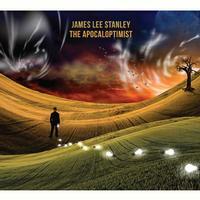 I love James Lee Stanley’s blend of sounds. Overall, it fits closest into folk music territory, but it’s got a real rock edge. There are other things here, though, ranging from jazz to country and even some progressive rock. This is a strong album that really feels like it would have been at home in the 1970s. It’s very classic in style. Folk, jazz, progressive rock and more all seem to merge on the opener. It’s somewhat sedate, but also energetic. I love the bass work on this and the whole cut is just exceptional. Another tasty piece, this is more pure folk. Still, there is some country and some rock in the mix. As good as the opener was, I think this is even more compelling. A mellower tune, this one feels like folk prog to me in a lot of ways. The vocal arrangement is classy, and the whole song just works well. Stanley brings his inimitable stylings to this Beatles tune. It’s a nice version. I love the harmonica on this piece. Soft rock and folk merge on this. It’s got a great lyrical message. A bit more of a rocker, this is a classy tune. This folky instrumental is very strong. It’s actually one of the highlights and a good bit of variety. A bouncy, folk number, this is good stuff. This mellow folk rocker is a strong entry. It’s one of the most accessible here, somehow. Combining folk and soft rock, this is a great slab of 1970s styled music. The folk rock concept continues here. Somehow, though, this is one of the most evocative numbers here. It’s possibly my favorite song of the whole disc. One of the mellowest pieces of the whole set, this is quite pretty.